The global energy supply is almost still entirely based on fossil energy sources as well as nuclear power. While fossil energy sources are becoming exhausted in the foreseeable future and are at least considered to be problematic in terms of environmental protection (key word: greenhouse effect), nuclear energy is associated with considerable problems as far as its control and disposal are concerned. A sustainable, i.e. indefinitely available energy supply free of emission can solely be build up on the basis of the so called renewable energy sources such as sun, wind, and water. Taking the present state of technology into account, however, solar energy in temperate climate zones is only utilizable with considerable subsidies. 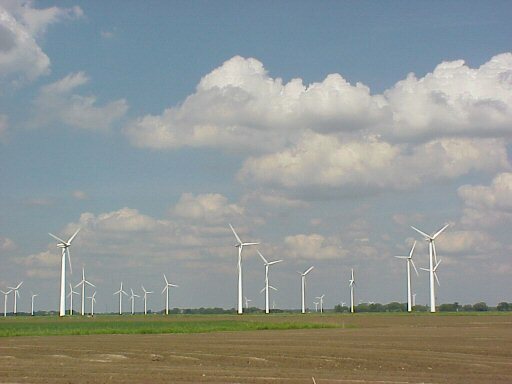 The usage of wind-power is connected with painful disruptions of the landscape and owes its forced consolidation equally to effective subsidies. Both energy sources are tainted with the serious disadvantage of a natural lack of calculability. Thus, no or only little energy can be produced in case of stormy weather, cloud cover, calm, or at night. In this respect, the energy industry continuously has to provide reserve power on the basis of conventional energy sources. That is why sun and wind can merely be set in use in a sensitive way to supplement the conventional energy sources according to the present state of development. Water-power can be used as an energy source in rivers as well as in sea currents and in the latter especially in tides. At the present time, it is virtually only employed in rivers to produce energy. At the same time, the usage of this specific energy source has been declining for decades with regard to the number of energy plants and the generation of kilowatt hours. Water power bound in sea currents or rather tides contains many times more energy potential than water power bound in rivers. It is estimated that sea currents could cover the energy demand of the entire world. However, this potential is almost completely left unexploited. An extensive use of this energy source opens up a growing market of virtually oceanic dimensions. In contrast to the renewable energy sources already mentioned, tidal currents-which are almost entirely dependent on the moon's orbit-have the additional advantage of an utterly unproblematic predictability. In this case, a provision of collection resources is not required; tidal power can be a self-supporting pillar of energy supply. 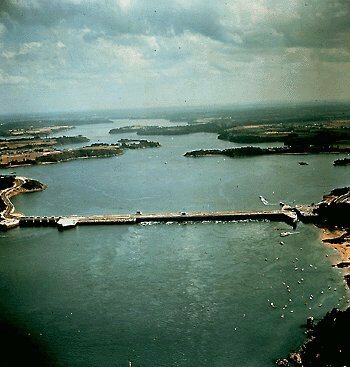 In the field of using tidal power, there are currently only few plants similar to the 240 megawatt-tidal power plant at St. Malo/ Bretagne, France, which was erected in 1967, or the Annapolis Royal, a Canadian project which was built in 1984. Both are associated with the ecological flaw of obstructing an entire sea bay. Recently, experimental underwater power plants for the exploitation of tides have been launched. Their operating principle is partly based on the adoption of wind power plants which are meant to function underwater. These plants have the advantage of taking up significantly less space in the landscape due to the fact that only a single maintenance tower is visible above sea-level. On the other hand, these plants can only use one direction of the tidal current until now and require a high level of maintenance due to the technically costly construction of propellers. Last but not least, they necessitate a high investment that ranges in the millions for an output of 300 kilowatt hours. This allows an economic power generation only in connection with a windfall of subsidies.